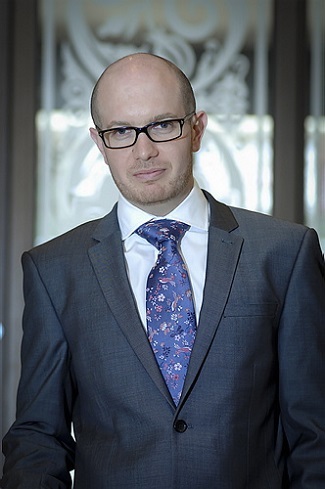 Neil Braude has been appointed General Manager of the 4* Holiday Inn London Bloomsbury Hotel. Responsible for the management of the 316-bedroom hotel, Neil joins the team with 19 years of experience in hotel operations, yield and revenue management across flagship and independent hotels in South Africa and Central London. With a strong vision to drive the business forward, Neil is committed to nurturing the existing talented staff, cultivating the rising stars within the business as well as attracting new talent. Neil also plans to strengthen and extend the hotels’ relationships with the local community. The stylish Holiday Inn London Bloomsbury Hotel offers a modern Junction restaurant as well as a bar and lounge serving Starbucks coffee, excellent meeting facilities and free WiFi. It is located just 150 yards from Russell Square station and is perfectly placed to visit London’s key attractions including a short walk to the British museum and Oxford Street. The Holiday Inn London Bloomsbury Hotel was awarded a VenueVerdict Gold Standard Accreditation in 2017, the only venue accreditation programme determined entirely by the voice of the customer and based on the meeting experience.